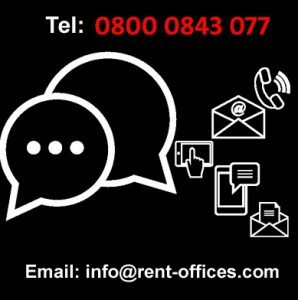 We are a UK based co-working office space provider covering over 5000 office rental properties. The term ‘co-working’ was actually invented in 1999 by American game designer, author and lecturer, Bernie DeKoven – he used it to describe a method ‘that would facilitate collaborative work and business meetings coordinated by computers’. His method’s aim was to support collaborative work through a non-competitive approach whilst giving people the opportunity to work on their own individual projects. It came from his realisation ‘that people and business were too isolated and hierarchical to be considered “working together as equals”’. Co-working as a concept has evolved over the past two decades, yet, still incorporates some of the ethos of the original definition. Elements of co-working, as it can be observed today, have actually been around in different guises for many, many years. You could say that libraries were the first co-working spaces, or on-campus computer rooms, or business lounges at airports, business lounges at business centres, or coffee shops. So what is the concept of co-working? Co-working as a concept appears to have skyrocketed in recent years – there has been major publicity surrounding large operators receiving multi-billion dollar valuations, and the reporting of large portfolio acquisitions of buildings to be used as co-working spaces. Also, many smaller independent spaces are launching regularly in every town and city across the world from Harlem to Hong Kong. In 2014, there were 112 co-working spaces in Central London alone – this number has increased significantly since then and continues to grow. Even though the concept has been around for a long time – and co-working facilities have been available, often as an add-on to an existing facility – what we have been seeing in recent years is more and more workspaces that are purposefully built-out as a co-working space. Demand for the traditional business lounge remains solid in serviced office business centres, however, the large millennial population – with a favouring for the independence of freelance and entrepreneurial work, as well as a preference away from traditional corporate-style office set-ups – has created strong demand for dedicated co-working hubs. A co-working space is differentiated from the offer of a traditional serviced office business lounge by its emphasis on supporting and facilitating the potential for interaction between users of that space through networking, launches, social events, and clubs. There is usually more attention paid to the design and animation of space with the aim to create the optimal environment for the community of users. An example of a typical co-working space could be a repurposed warehouse with exposed brickwork and rafters, custom-designed lighting pieces, break-out areas, bike racks, games and a café/bar providing free coffee and craft beers. These spaces fall under a category in the flexible workspace market known as Incubators, Accelerators, and Co-working spaces (IACs) and are very popular with microbusinesses, start-ups and are also becoming more and more and more popular with SMEs looking for locations in areas such as Harrow. Co-working spaces are occupied by businesses from a number of sectors including; information and communications technology (ICT), science, technology, creative and cultural industries (CCI) and social enterprises. However, some co-working spaces will focus on just one sector and may only host digital technology, or media and the arts related sectors, for instance. This is to help develop a sectoral focus which may help facilitate greater interaction and knowledge transfer and may improve the likelihood for business success – one of the reasons being that users may employ each other’s services. What is the difference between a Co-working space and a service space? 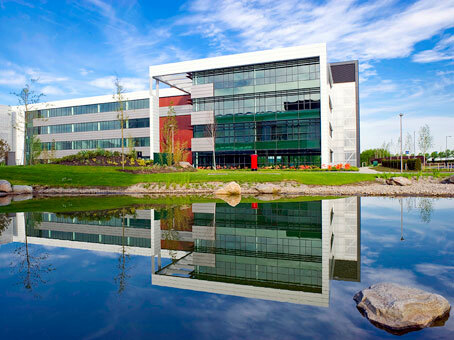 Similar to a serviced office, with co-working spaces, all accommodation-related costs are included in a one-off cost, however, unlike a serviced office, payment is often via a monthly or annual subscription as is not tied to a particular space or hub (if the provider has multiple hubs). Co-working space may also be provided as part of a larger package which includes use of meeting and conference rooms, and separate larger units for more established businesses. This is sometimes referred to as ‘grow-on space’ for businesses that have out-grown their co-working space and wish to move to a larger, more formal and traditional arrangement such as a serviced or managed office.